Ok, we know it's not quite December yet, but... Gingerbread!! This is a little teaser for our 2015 Holiday Collection—gingerbread is now available in all the shops! And to be fair, it is kind of feeling wintery out there these days. According to our friends at wikipedia, Gingerbread was brought to Europe in 992 by the Armenian monk Gregory of Nicopolis. By the 15th century, Germany had its very own Gingerbread Guild, and by the 17th century Nuremberg was known as the "Gingerbread Capital of the World" for the works of edible art it was creating with the spiced bread! If you'd like to try your hand at this illustrious foodstuff—and the even more glorious (we think) tradition of shaping it into adorable houses—Martha Stewart, as always has some good tips for you. The Moss Street TD Art Gallery Paint-In is happening today! 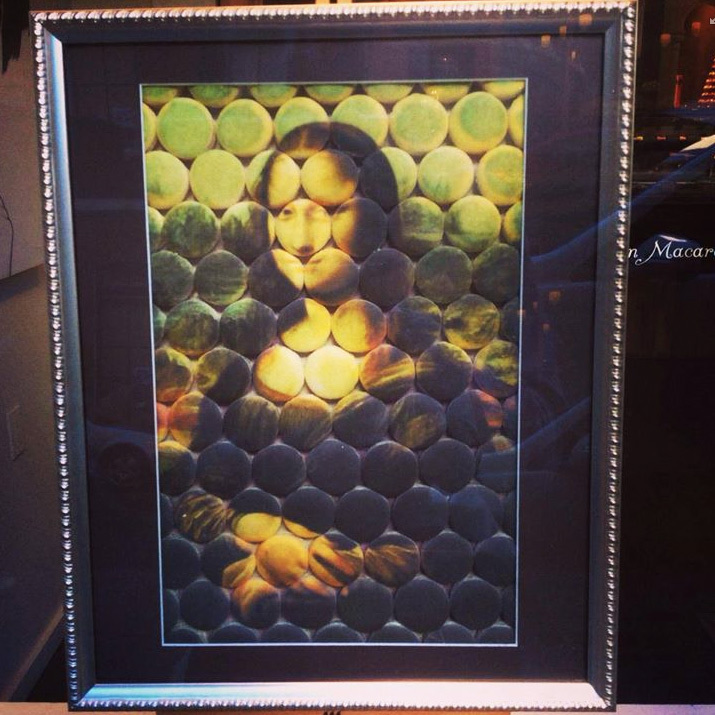 All that art takes us back to last fall, when this Mona Lisa macaron masterpiece graced our Broad St. patisserie window. 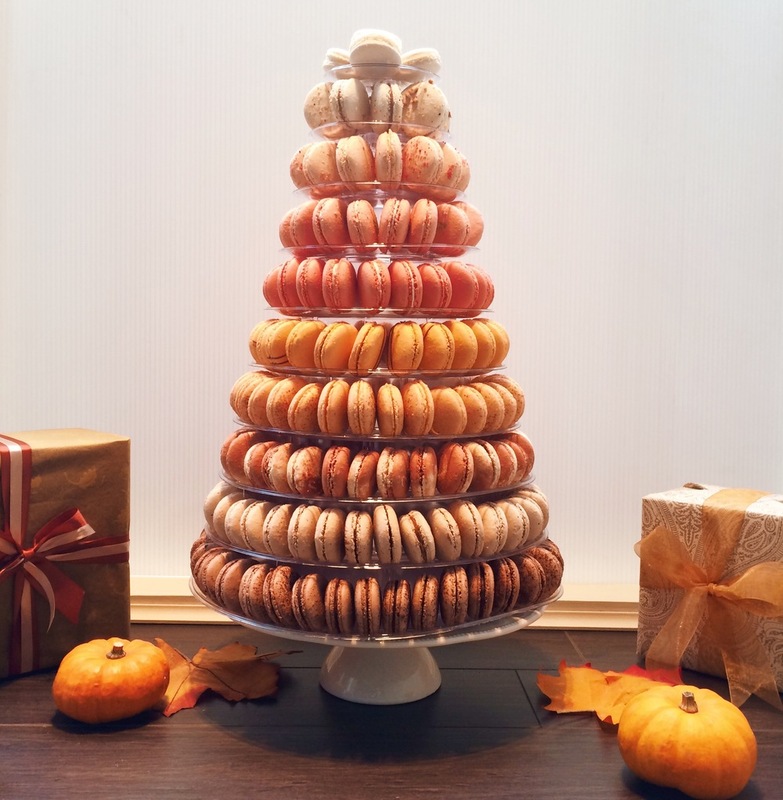 Macarons really are a very creative medium! There are the endless flavours, of course, but there are also endless possibilities for colour and embellishment. Decorating is always a really popular part of our Macaron Classes. 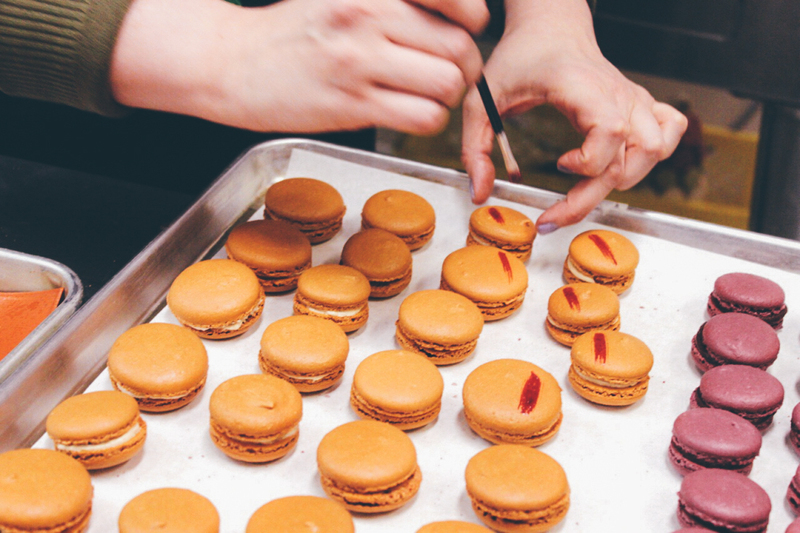 The student below is painting a crimson detail on Peanut Butter and Jam Macarons—that she just finished making! Enjoy the art today! And if you're passing through downtown, pop in and see us for some edible creativity.